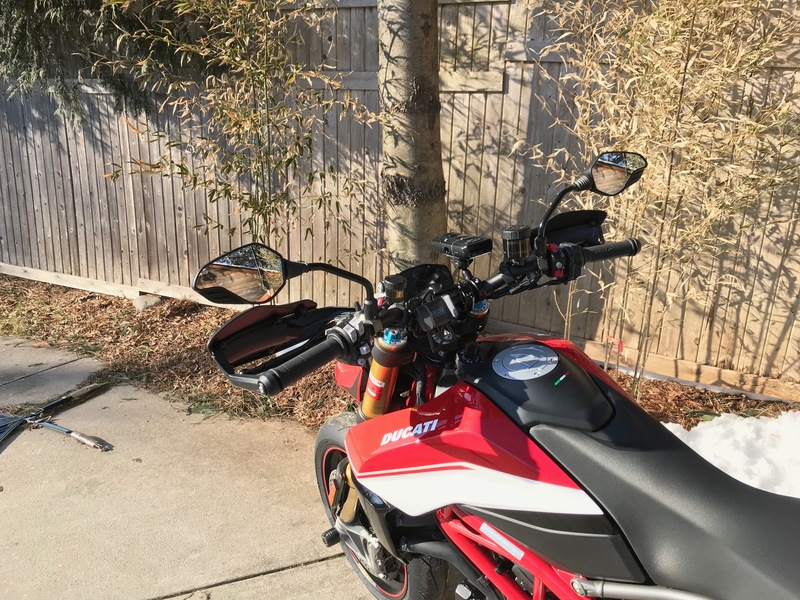 Ducati.ms - The Ultimate Ducati Forum > Ducati Motorcycle Forums > HyperMotard > Has Anyone Else Purchased a 2019 Hyper? 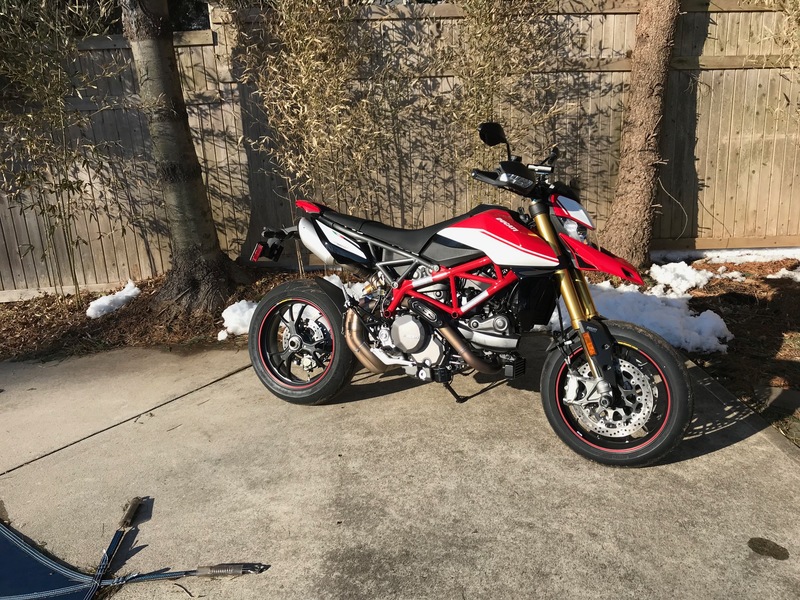 Has Anyone Else Purchased a 2019 Hyper? I just ordered one from Ducati Austin last week. It's the SP version. Expected deilvery sometime in late March. 1. Holy cow I can't wait! Smile on my face all this week. 2. Collission coverage under my current carrier was 3 times what it was for my MS 2016. I found another carrier that gave me a reasonable deal. 3. Probably going with an extended service plan, mainly due to all of the tech stuff on the bike. 4. Not a thought- but started clearing out a space for it in the garage today. Will be my first bike of this kind, always ridden sportbikes but super excited about it! I've been building 1098 for too many years now and haven't ridden a bike in 5 or so years so very excited to have a fully functioning bike I can ride whenever. I plan on doing some trackways with it too, I really miss the track. 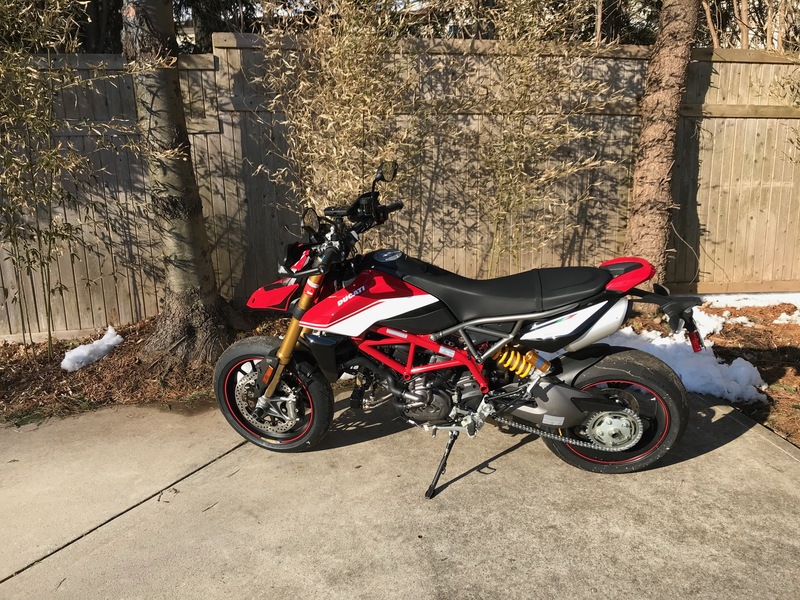 Picked up my 2019 Hypermotard 950SP today! Put 10 miles on it to get acquainted. Lovely bike! The rear hub, axle is the same dimensions as the 939, so I ordered a pit bull hypermotard stand. Need that to remove the wheel to change tires. fit the 950SP so ordered those. They are good because you can use a standard paddock stand to lift the bike from the spindles for chain maintenance. Evotech frame sliders are on the way. I am not sure I will put on radiator guards. Not a pebble on the lowest radiator after my first ride. I think it may be high enough to avoid garbage tossed by the wheel. Last edited by Pard; Mar 6th, 2019 at 8:40 am. 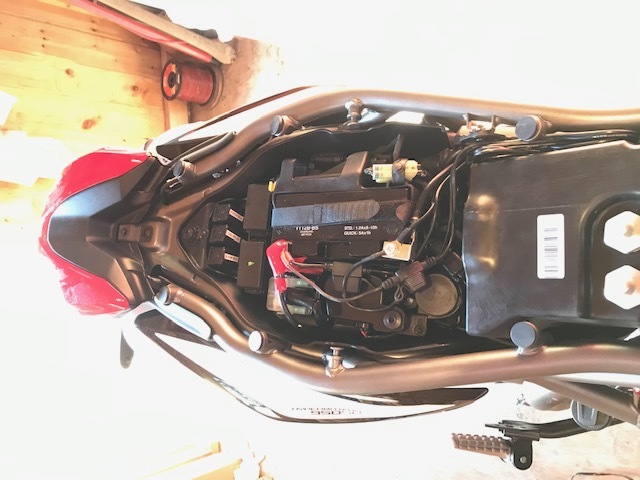 BTW, there is no USB power socket on the bike. I thought there was. Why are there no pics? Congrats on the purchase, you've got to be one of the first ones! Sounds like you're off to a good start with some safety mods, what's next? 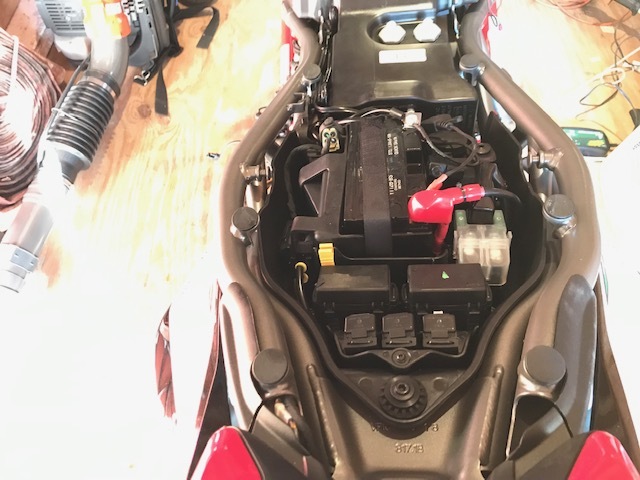 Odd on the USB port, Ducati website says that's standard. Just did a quick google search and one review said the port is located under the seat. Last edited by Pard; Mar 6th, 2019 at 8:48 am. Mounted a radar detector and cell phone holder, wired up a line for heated gear. Austen, firstascent, egomexico and 1 others like this. Looks sweet Pard! 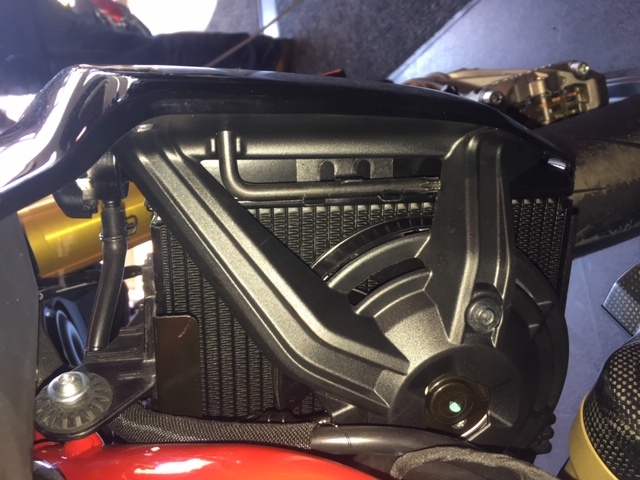 As for the rad & oil cooler guards I think they are a good idea as the Pirelli Supercorsa’s pick up everything! I get real small pieces thru the vents on my front fender & only see them at night as the headlight illuminates them. I opted for the whole set as I like how it looks & figured the head & coil were worth protecting too. 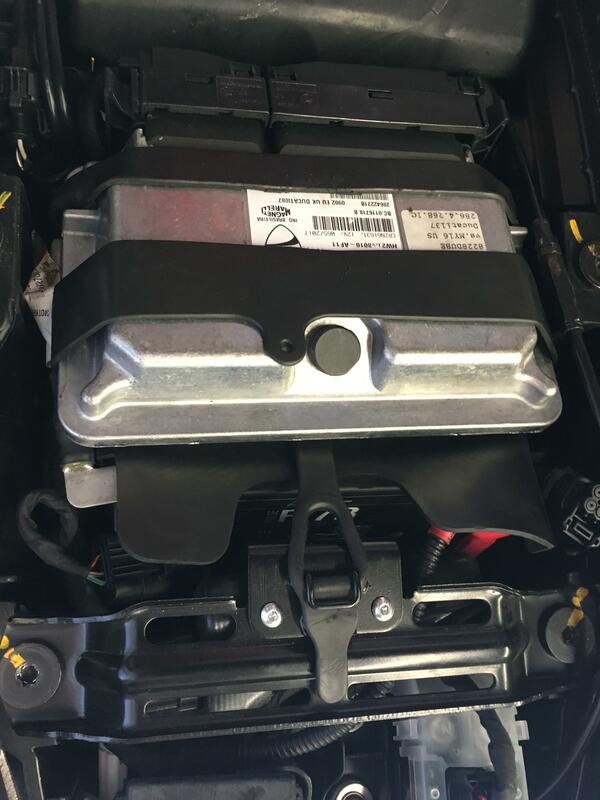 My dealer mechanic showed me where the USB port is located. Under the seat, not much use unless an extension is run. 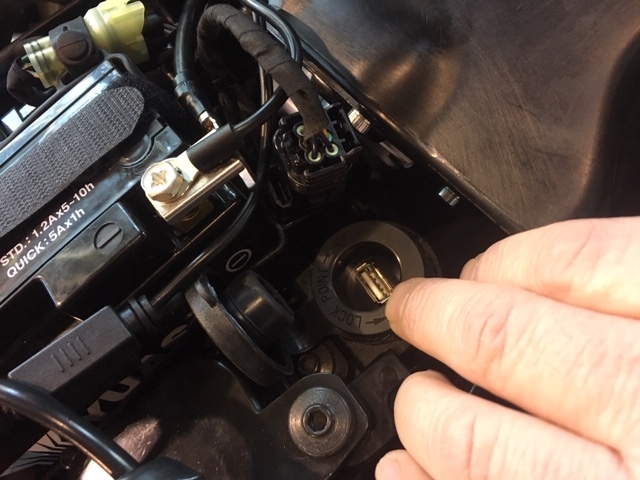 The key to remove the seat is a hex wrench fastened to the radiator. SA screw is removed and then the seat comes off with some wrestling. 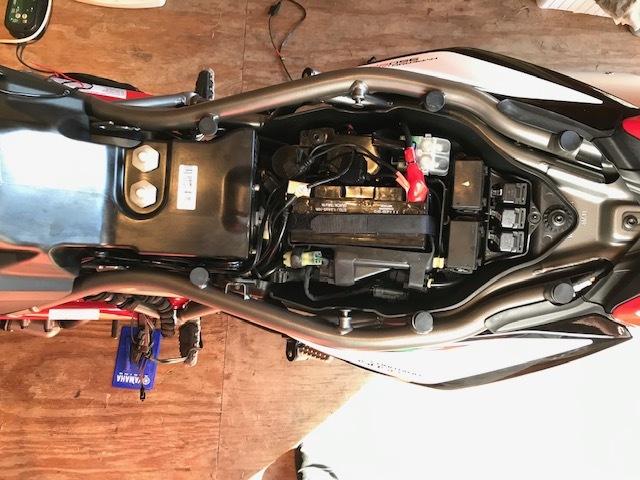 Can you take a pic of the bike from a bit further back with the seat off? Looks like the battery is mounted differently that the 939’s which are completely stuffed under the ECU lying on their backs like this.